Tramble exists to make spending time as a family easy and fun. So we wanted to write about 10 things to do with the kids in Kent, and sometimes East Sussex, that meet the Tramble criteria. And, as an added bonus, a bunch of these family activities are completely free! We adore walking, so it makes sense to kick off the list with one of the best walks in the UK. Yes, we are talking about Birling Gap! 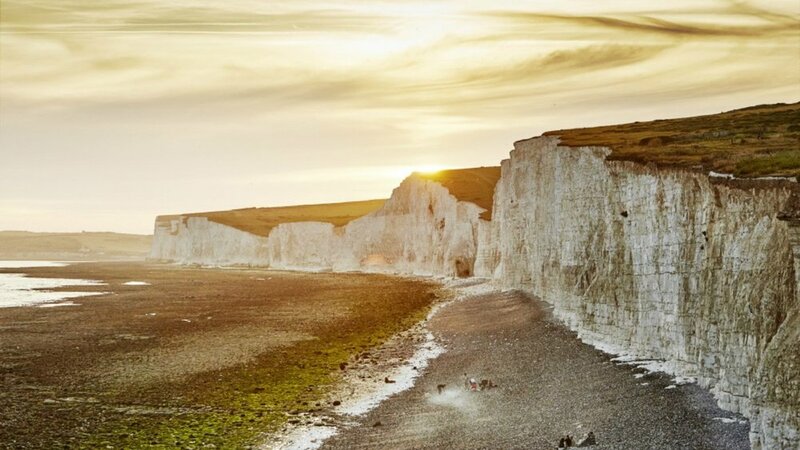 Birling Gap is located between Eastbourne and Brighton and features a large array of rock pools to explore when the tide goes out, so make sure you read the tide tables. Adding to that there’s a National Trust Cafe so you can have a lovely tea and cake when you need a break. Second up is another walker’s paradise. The 12-hectare Cinderhill Woods nature reserve managed by the Kent High Weald Partnership has well looked after footpaths so it is easy to explore the wildflowers and spot some animals. Another top pick for some fresh air! More on the Canterbury Tales here. Drusillas Zoo comes with a fiercely good reputation. And for good reasons. A day out at Drusillas will see you and the family take part in a bunch of brilliant activities. They often throw themed events so make sure you check out the website for more information. You don’t clock up over 700 years of history without having a few stories to tell. The same is true at Hever Castle. There is an excellent water maze, lovely grounds and, our personal favourite, the jousting events in the summer. We love mini-golf. 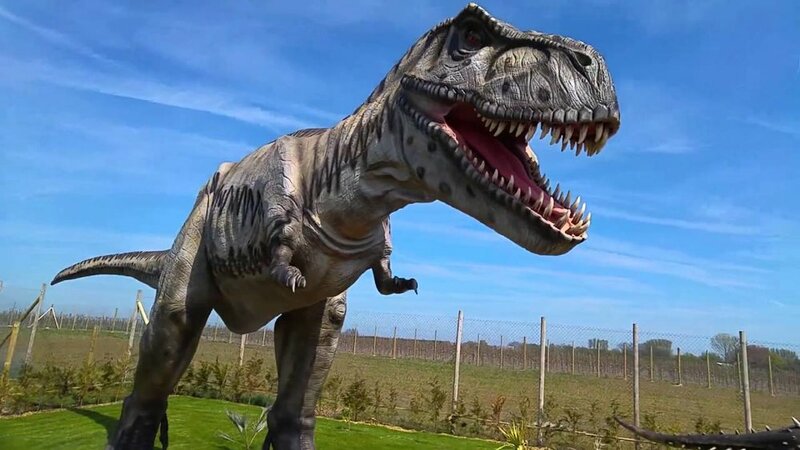 It’s sure to get the whole family involved and, hopefully, still smiling by end of the 18 holes… Why not give it a go at Mr Mulligan’s Dino Golf? A really good activity for the kids in Tonbridge. More information on that here. We love activities and that’s why we recommend a splash at The Pells outdoor swimming pool, which happens to be the oldest documented freshwater outdoor public swimming pool in the UK. It can be found in the beautiful town of Lewes in East Sussex, which is soon to have a Tramble walk to accompany it. More information about the outdoor swimming pool here. Wingham Wildlife Park seems to be always improving! You may well remember that it started off as a bird park and now has developed into an extensive animal collection, with play diggers for the younger members of your family and go-karts for the older kids. Check it out. Swanley Park is set in around 60 acre with a visit to the splash park thrown in for FREE. Add to that the cafe, fun on the bouncy castle and a lovely boating lake. For the more active amongst you why not take a punt on the bikes for hire and explore! Find out about everything at Swanley Park here. Walking in and around the Tonbridge Castle Grounds is something of pure pleasure. Get up to the castle and see the cannon by the entrance and watch down by the river as the boats and kayakers stream on by. You could even hire a boat next to the bigger bridge on Tonbridge High Street. Starting at £5 per Adult and £2.50 for under 16’s per hour you can have quite the adventure on a budget. So there are 10 ideas from us to get you and your family active on a budget. If you need other days out inspo, be sure to check out our Day Out Builder and search for family activities near you.